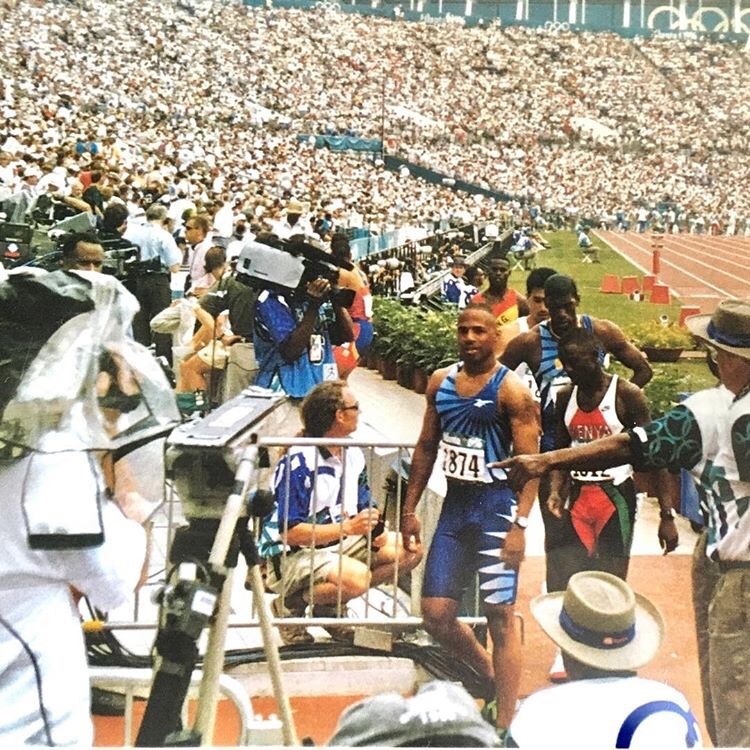 Robert Dennis, first in the line, competed in the 100m and 4x100m during the 1996 Olympics. FiftyFive.One, a Minnesota based soccer news platform, recently posted a story about Minneapolis City midfielder Martin Browne, Jr. In the article, Browne shares his extensive soccer journey from Liberia to Minnesota. The soccer player shares the pinnacle moment he received a call from the Liberia National Football Team coach, James Debbah, offering Browne a possible spot on the team. The article goes on to share a follow-up call from the Liberia National Football Team requesting Browne at the June 11, 2017 Africa Cup of Nations qualifier against Zimbabwe. “It’s a blessing in disguise, happening now,” Browne said. Click here to read the original article written by Kyle Eliason. Congratulations to Martin Browne, Jr. and best wishes to Liberia’s National Football Team the Lone Stars. Martin Browne takes part in a counter attack in a friendly staged ahead of Minneapolis City’s 2016 U.S. Open Cup qualifier. Image courtesy of Daniel Mick. The Samuel Kanyon Doe Sports Complex was built in 1986 and named after Liberia’s 21st President. As Liberia’s largest stadium, SKD sports complex has served many purposes from concerts to football games and holds a capacity of 35,000. Renovation to the SKD sports complex was approved in 2013 and is finally complete. Pictures showcasing the new and improved stadium started circulating on May 17th. Among the improvements are increased VIP seating, a new lighting system, a digital scoreboard, a new track, and better restrooms. Dedication of the updated complex has not been determined, but it is believed to occur in time for the West African Football Union tournament. Liberia is a possible host for the tournament in July. Photo taken from RCI Sports facebook page. We hope to see more athletic events happening at the new and improved SKD sports complex in the near future. Kudos to the Liberian Government for completing this project. On February 8, 1980 , Legendary boxer Muhammad Ali visited Liberia to get support for the Moscow 1980 Summer Olympics boycott. Ali successfully got the country to join. Two months after Ali’s visit, Liberia experienced a coup d’etat. I hear you want to represent Liberia in the Olympics. Well, you’ve come to the right spot. This article should give you enough information to get started. Getting to the Big Game takes lots of stamina. The journey is filled with competitions and qualifiers, but it all starts with the athlete. As an athlete, you have to know the qualification criteria for your sport. The international federation that governs your sport sets a basic standard and publishes it to their website. Runners can get qualification standards from the International Association of Athletics Federation webpage. Boxers should visit the International Boxing Association site. Find your international federation and start there. Sometimes federations publish their Olympic qualifying criteria closer to the Olympic Games. They might even amend the standards. Pay attention to the possible changes. If you cannot find the standards for the upcoming Olympics, use the criteria for the previous Games as a benchmark. Now that you know how fast you must run or what competitions you must enter, start working towards that goal. Liberian sprinter Ada Udaya competing in the 20th African Championships (Photo by Roger Sedres/Gallo Images). Serious Olympic hopefuls must adhere to a strict schedule. You must learn to weave training and competing into your everyday life. In addition to the time commitment, prepare for the financial responsibility. You must register and attend specific competitions in order to qualify for the Olympics. Again, you’ll find this information on your sport’s international federation webpage. The costs to train, travel, and compete adds up, but there are ways to minimize these expenses. If you live in Liberia, you can contact the national federation for your sport. Depending on your sport, this could be helpful. Some federations are more active than others. Liberia has 29 sports federations/associations. In 2015, the Ministry of Youth and Sports established guidelines for each government funded federation and association. These rules were created to monitor the organizations and assist them with their missions. If you qualify, your sport’s federation should assist you in representing Liberia. Below are some active Liberian Sports Federations. Other national sports federations/associations include golf, kickball, amputee football, taekwondo, weight lifting, karate, volleyball, cricket, lawn tennis, handball, swimming, cycling, wrestling, netball, chess, wushu, canoeing and rowing. If your sports federation is not active, you can still compete in international competitions, but you’ll have to represent a local club. This means your club will have to register you and assist you with funding. The International Olympic Committee (IOC) also offers athletic training scholarships. Financing your journey will take time and research. Rio 2016 Liberia Olympic Team and delegates (Image from team). If you live outside Liberia, don’t depend on the national sports federations for too much help with training. Their job is to develop their sport within the country. You might need to take advantage of your local resources (schools and clubs), until closer to competition time. Even during competitions, Liberian sports federations have struggled to finance Liberian athletes. Still, try to communicate with the federation. They might be able to guide you in some area. Remember the IOC offers scholarships. Do your research. A little research can go a long way. What if Liberia does not have a federation for your sport? No problem. The Liberia National Olympic Committee (LNOC) can vouch for you. The LNOC submits the final roster for the Liberia Olympic Team to the International Olympic Committee. The IOC then decides whether or not to accept each athlete as Liberia’s representative. It’s the LNOC’s job to make sure every athlete is qualified to represent the country. Visit the official Olympic webpage to contact the LNOC. If you have been training, competing, and meet your sports’ Olympic qualification standard, you might get the chance to represent our beloved Lone Star. Keep in mind this process is easier read than done. This path can be filled with bumps, sharp turns, and even dead ends. You will probably spend half your time trying to reach the appropriate contact person and the other half searching for funds, but don’t give up. Remain persistent and keep working hard. I believe both of these issues will get better over time. Read more about becoming an Olympian in the Olympic Charter. The Liberian Observer shared some great news, over the weekend. Liberia’s national athletics team won four medals at the West Africa Region II Senior Championships and the ECOWAS Junior Tournament in Conakry, Guinea. The competitions were held May 12-14, 2017. Coach Cooper with Kadmiel Enders, Lucy Massaquoi, Nancy Saah, and Richard Mayango. Photo taken from Coach Cooper’s Facebook. Liberia Track and Field Team. Photo taken from Coach Cooper’s Facebook. It’s no secret. Sports have a tremendous impact on our lives. From the spectator to the athlete, sports can become more than entertainment or exercise. In fact, studies show that kids who participate in organized sports build communication skills, decisiveness, teamwork, time management, self-esteem, and community. Researchers also link high academic performances and healthier lifestyles to sports participation, but the benefits don’t stop there. 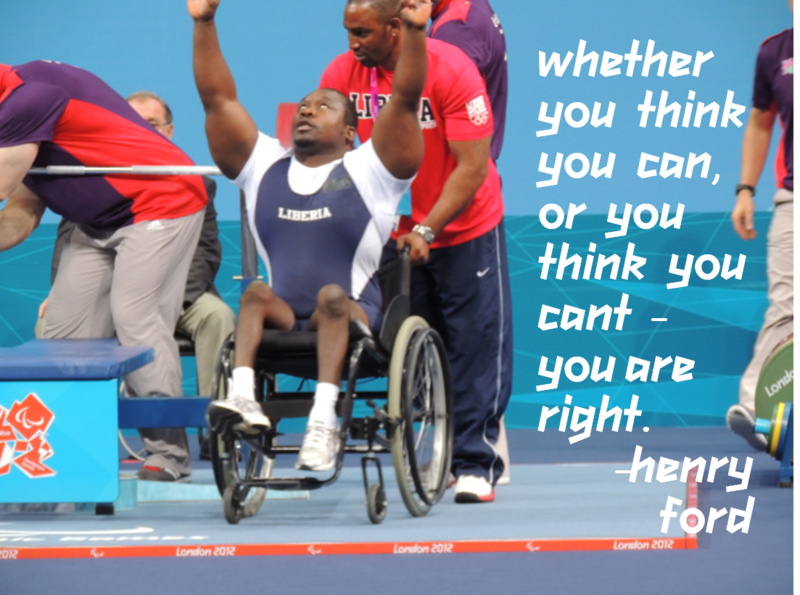 Athletes have the responsibility to represent themselves, teammates, and fans. Their skills can take them all over the world, introducing them to places and people from all walks of life. Sports also benefit spectators. As spectators cheer on their team, they create stronger bonds with each other. It’s no wonder humanitarians use sports as tools for improving society. Below, we highlight four Liberian-focused organizations that use the power of sports to change lives. Bill Rogers, the popular Liberian runner and 1500m national record holder, understands first-hand the opportunities sports create. Rogers established the Bill Rogers Youth Foundation in 2010, and has been using various sports to make a difference in Liberia since then. He’s hosted numerous sporting camps and competitions for Liberian youth, while raising funds to improve the community. The Bill Rogers Youth Foundation Facebook page showcases albums full of pictures from sporting events, team activities, and fundraisers. Bill Rogers, in top center, with Liberian children during a sporting event. (Image taken from Bill Rogers Youth Foundation Facebook page). The Liberian Athletes Reunion (LAR) organization hosts the annual LAR event focused on uniting former and current Liberian athletes and sports enthusiasts from all over the world. Since 2014, LAR has gathered Liberians in various cities to focus on ways to implement projects that will assist and empower Liberian athletes of all ages. In the past LAR has raised medical funds for a former coach and player. This year, LAR will host its annual meeting in Atlanta, Georgia USA from June 23-25. Life And Change Experienced through Sports. This is what L.A.C.E.S founder Seren Fryatt created in Liberia. After playing professional soccer in Liberia, the American athlete formed L.A.C.E.S, in 2007. The organization uses Christ as its mentor and soccer as its platform to develop the community and its most prized possession — its youth. Local leadership, community engagement, and family support are three key factors in the LACES movement. Since, 2008 local Liberians have operated L.A.C.E.S in Liberia. Launching in 2015, Monrovia Football Academy (MFA) is the first school in Liberia to combine formal education with football development. The school’s website outlines how the institution tackles issues in education, gender equality, football opportunities, nutrition, life skills, and healthcare. Currently MFA has 29 boys and 19 girls, ages 8-12, in the 3rd, 4th, and 5th grades. Academy 3rd Grader Christina Woart works on her fluency, projection, and expression in reading class (Image taken from MFA website). Each of the organizations listed above have demonstrated a strong understanding of the positive effects that sports can have on the community. Take the time to visit each website and learn more about what they are doing for Liberia. What are some other sports organizations working to help Liberia’s youth? Share your favorite one with us. The Lamar Hunt US Open Cup began in 1913-1914 and is the second oldest uninterrupted soccer tournament in the world. It is recognized as the U.S. Soccer National Club Championship. With an intense four-round match up, both amateur and professional US-based soccer teams travel across the country for a chance to win it all. Fifty-six teams will enter the qualifying first round, on May 9th and May 10th. The final match will take place on September 20, 2017. 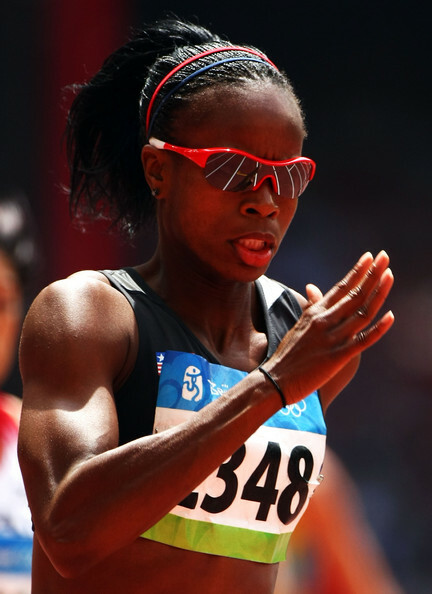 Liberia’s 200 and 400 meter record holder Kia Davis represented the country at the 2008 Beijing Olympics. 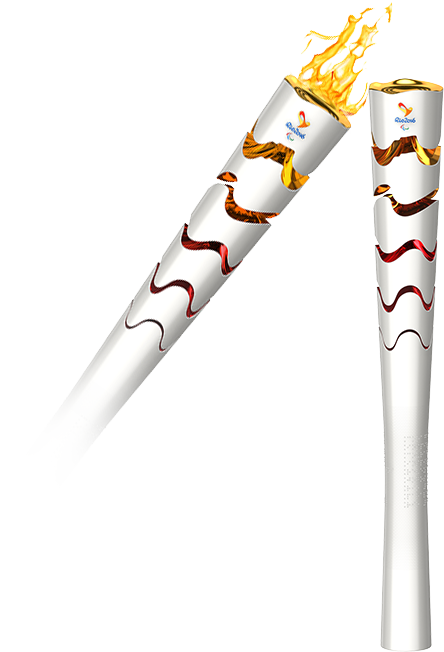 It has been nine months since the 2016 Summer Olympic games. Many Olympians have jumped right back into the groove of preparing for meets, including Liberia’s very own. Since the beginning of 2017 Emmanuel Matadi has competed in four meets. Matadi ran the 100 meter race in 9.96s (+3.0 wind) at the Longhorn Invitational in Austin, Texas at Myers Stadium on April 29, 2017. This time ranks him at number six under Wind Assisted Marks on IAAF’s website. We wish him continued success! Check out Matadi’s 200 meter race at the Grenada Invitational below.